The steep granite soil of the Brand was perhaps the most adapted to resist the rains we had end of September. The grapes were already very ripe (Rieslings are riper in 2006 than 2005! ), didn’t loose any acidity and eventually developed a lot of noble rot in October. The low yields also explain why those grapes managed to go as far as Vendange Tardive or SGN in 2006. In another vintage, this wine would have perhaps fermented drier, but the acidity is so racy and sharp in 2006, that the wild yeasts decided to respect the Vendange Tardive character of this wine. The fermentation stopped relatively early, leaving a decent amount of residual sweetness. 1/2008: the nose already shows glorious ripe Riesling aromas. Everything is fresh in this wine, and I expect it to mature very slowly. 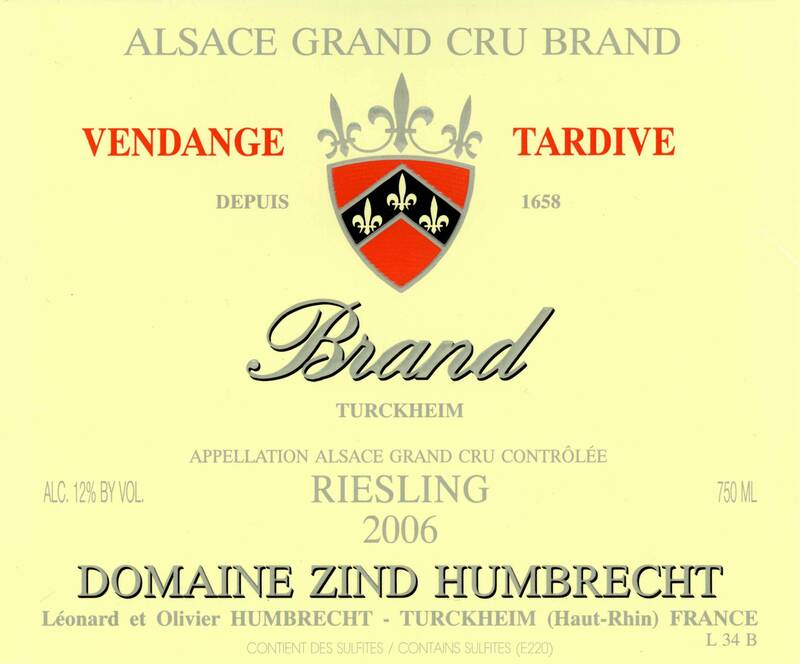 The high acidity and lower/normal alcohol level make the wine taste harmonious and elegant. It develops fragrant honey, citrus, dandelions aromas. The finish is long, based on a vivacious acidity and good salty minerality.